Kids learn best when they move beyond passively receiving information to experiencing, interacting and engaging in learning activities. In others words, having fun and learning through play. How much more important it is, then, to learn, understand and experience Jesus and His love for them through fun learning programs and activities! Use this simple idea, a wooden ruler, and include it with your other learning experiences about giving while learning the Bible verse, Luke 6:38. The following simple instructions outline how to make these rulers but once they're done... have fun with them. Sure, the kids can measure concrete objects like tabletops, books or even their height. But it's even more fun to measure things like how wide is their biggest stride, how high is their tower of blocks or what size is the longest french fry they can find in a packet. If you're really adventurous, you could even bring along a grasshopper or two and measure its longest jump. But, while you're having fun measuring, include some time to discuss things that can't be measured, that only God knows: how much we care for others and how cheerfully we give. 2. Lightly sand the paint stirrer. 5. Kids can write their name on their ruler and add the Bible reference. 6. To finish the creation, they may like to add some decorative media to the handle or tie some ribbon. For many families, Easter is the finale to a busy week overflowing with family activities and commitments. Hot cross buns have been picked up in passing. Easter eggs and gifts are last-minute purchases, bought quickly without too much time for thought, and there has been little time to plan family Easter activities. Yet most are trying to avoid the over-emphasis on eggs and bunnies.They genuinely want to highlight the real meaning of Easter. So with Easter just days away, how can you encourage busy families to include meaningful Easter experiences? Yes... they can attend your Easter events and services but, at home..???? In your weekly church e-newsletter, include some of these suggestions for your families or provide family Easter packs with information and resources to use during the Easter weekend. 1. Focus on & share Scripture: YouVersion provides free Easter artwork to download and share on Facebook, Instagram or anywhere you wish. Encourage families to download this Verse of the Day artwork as wallpapers for their smartphone, tablet or computer. 2. Devotions: YouVersion also provide a number of Bible reading plans, each designed to help families make the most of their time in God's Word at Easter. You'll find the story of Easter, the hope of Easter, and Holy Week as just a few. These can be easily found on the Bible app. Families can find an download afree e-devotional booklet by Billy Graham designed to prepare families for Easter. Available as a free download is Blessings of the Cross with devotions by Billy Graham, Max Ludado, Anne Graham Lotz & Stormie Omartian. 3. Table decorations: Encourage families to talk about Easter at every opportunity, even while eating together. Download and print this subway Easter art to use as place-mats and to generate family discussion. Pin table decoration ideas on your kidmin Pinterest/Facebook that families can use for their own Easter table arrangements . 4. Easter greetings: Send Easter email messages or post to Facebook with free e-cards from DaySpring cards. 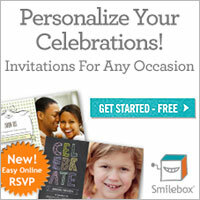 Alternately, families could use Smilebox to send personal Easter celebration pics and messages. It's even easier if the free app is used- take the photos and send almost instantly. 5. Books: There are a number of books that celebrate the real meaning of Easter that can be purchased or downloaded as Kindle versions. Check out some of the books in the gallery below and use this link to find out more information from the book reviews. 6. Bible stories for kids: Help the Easter story live for kids with some of these resources. Leadership for kids enables busy families to get biblical training on the go! Children can watch the videos on a home computer, tablet, or smartphone! There is a small cost involved- $4/month. The Bible App for kids now includes 2 new stories just in time for Easter. What's in the Bible has provided a family devotion pack that included colouring pages for each day of the week that combine to create an Easter panorama. Preheat Oven to 300 F. (Note: Do this first, don’t wait until you are half way done with the recipe!) Place pecans in Ziploc bag and let your children beat them with the wooden spoon to break into small pieces. Explain that after Jesus was arrested he was beaten by the Roman soldiers. Explain that when Jesus was thirsty on the cross he was given vinegar to drink. Use some of these ideas to encourage families to have fun and enjoy the Easter holidays and the gifts they will receive, but never forget the best gift of all- Jesus, and what He did for us on the cross. Have you been asked to present a kids' segment for Palm Sunday's worship service? There are certain times, certain seasons, important events on everyone's calendar, that roll around every year- like Palm Sunday, Christmas and Easter. And although we know and expect them it's not easy to find a different way, each year, to present these important truths in a way that resonates with kids and families and impacts lives. As I mentioned in a previous post, we're using Group's Walk with Jesus but presenting it weekly to the whole church family rather than a full Easter experience, as designed. Our first segment was last week. So I thought it might be helpful to report back and let you know how it went. I was surprised and delighted when many of our church family mentioned, following the service, how much they had appreciated the special segment we had presented. Great! There will be another segment in church this week. If you'd like to see how we presented the Palm Sunday segment, I've included it below. So.. what are you planning this year for Palm Sunday and Easter?